Don't have any products or services to sell? How about your own Team Apparel Store to raise funds for your program? Click here for more information! Set Up Your Store in Minutes! Just list products,prices and categories and you are ready to sell. The store takes advantage of the PAYPAL shopping cart to process credit card orders securely online. You can even sell downloadable goods (e-books) if you have an interest in producing written documents for sale. Customers can purchase and access purchased goods while you sleep! 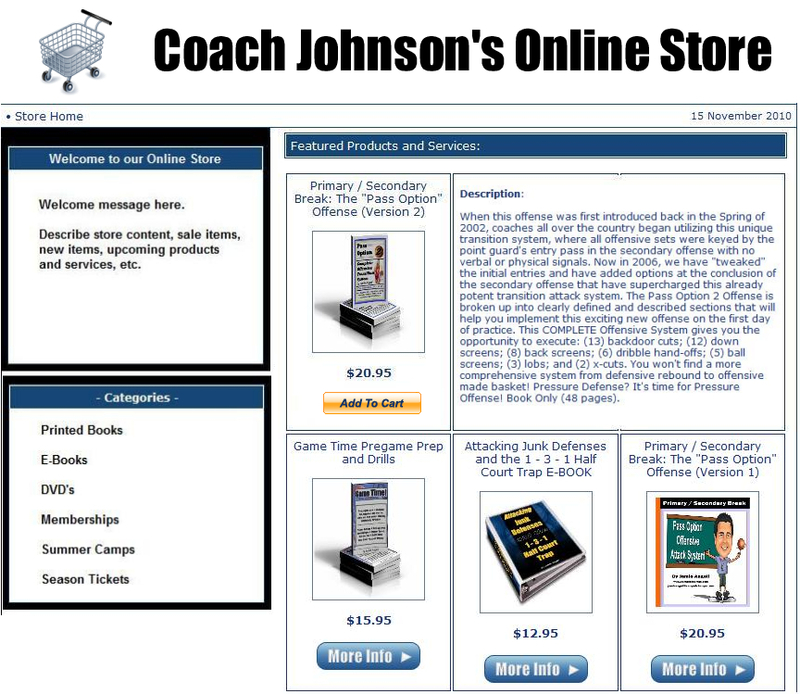 Your automated online store does all the work for you! 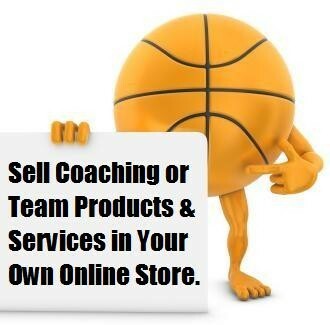 Great for selling: Team Gear, Supplies, Tickets, Books, E-books, Videos, DVD's, Fundraising Items, etc. Note: PAYPAL is an EBAY company, not affiliated with Hoopsynergy.com. Setting up a Paypal account is FREE and EASY. We have included step-by-step instructions, just in case you don't already have a Paypal account. There are NO monthly service charges included with your Paypal account. They only take a very small percentage (around 3%) of each sale made. View a screen shot of your potential new online store below! Complete with personalized store name, welcome message, product category listing, featured products and services (new items load each time store home page is viewed), as well as space for a sponsor advertising banner to randomly display at the bottom (for your Gold Member sponsors only). Our step-by-step store builder allows you to easily add / delete / edit products, prices, images, categories and descriptions.